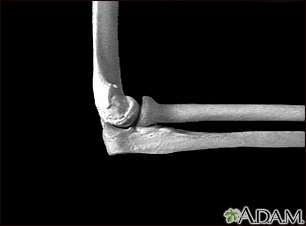 But any activity that involves repetitive twisting of the wrist (like using a screwdriver) can lead to this condition. 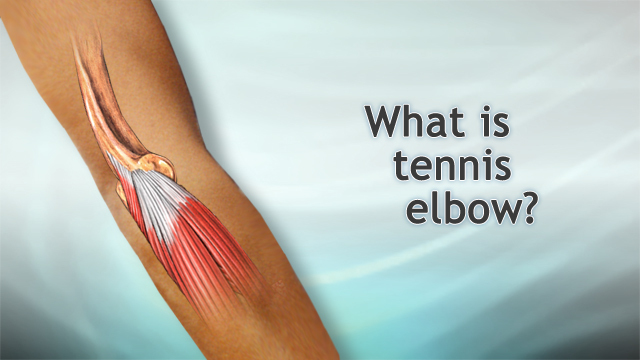 Painters, plumbers, construction workers, cooks, and butchers are all more likely to develop tennis elbow. This condition may also be due to repetitive typing on the computer keyboard and mouse use. Put ice on the outside of your elbow 2 or 3 times a day. Take NSAIDs, such as ibuprofen, naproxen, or aspirin. Think about how often you play, and whether you should cut back. You can buy a special brace (counter force brace) for tennis elbow at most drugstores. It wraps around the upper part of your forearm and takes some of the pressure off the muscles. If the pain continues after 6 months of rest and treatment, surgery may be recommended. Talk with your orthopedic surgeon about the risks and whether surgery might help.